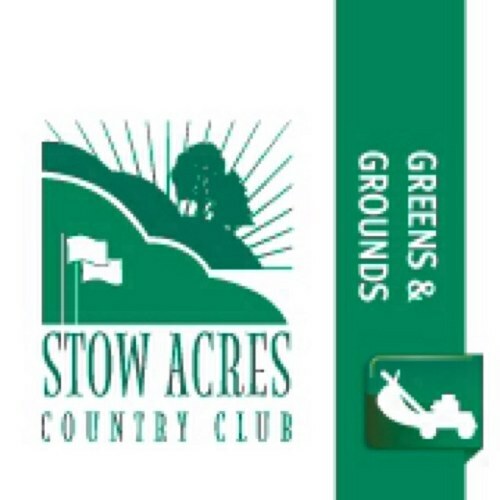 As most of you know that have been following the blog, we have been preparing for the Junior PGA to take the stage at Stow Acres North since the season has started. Many little projects such as bare spots sodded, trees removed and ground down, mowing heights adjusted, chemical and fertilizer applications made, groves cleaned and raked, and of course bunkers edged were all completed to better the golf course, but also in preparation for the Junior PGA. The three-day, 54-hole event took place this week over Monday, Tuesday, and Wednesday. The field included players from nine states and 2 countries outside of the United States, Argentina and Italy. Players ranged in age from 13-18, and their talent was exceptional. The field was so competitive that they needed to decide the winner in the Boys 16-18 bracket with two playoff holes. The course played difficult and challenged some of the best junior golfers around, with only one player shooting under par out of all three days. Our preparation for this event on the days leading up were certainly strenuous including many 10+ hour work days. Mainly just adjustments to mowing frequency and schedule were needed, but tasks such as tee and fairway divots, blowing, trimming, adding sand, and of course hand-watering of greens and fairways were all needed to pull off a successful event. Other tasks that were completed included fairway divots in landing areas, par-3 tee divots, blowing, and of course cups changed to PGA specification. We were completed with our morning setup in time for the players to take the tee at 7:30am off of holes 1 and 10. Our responsibilities certainly did not end there, as we needed to monitor moisture level on the golf course in between age groups, help with break down of setup, and water the golf course when the tournament ended for the day. It was definitely a long three days, but it was all worth it! It was an extremely fun experience and a successful three days for the maintenance team. Thanks for your support as we ready the course for our next big event this Fall! Please watch the video below to see what goes on behind the shop doors! The video not only highlights preparations needed for the Junior PGA, but also what the grounds crew takes care of on a daily basis. Filming and editing was done by Steve Buchanan. See you on the course!